The first three rounds of the 9th London Chess Classic were, at first sight, a bit disappointing. 15 draws out of 15 games. But it's only apparent, as there was no lack of fighting spirit among the players. But of course we all expect the elite players to try harder, and try to win a game. The Grand Chess Tour has been the subject of some polemics or, at least, some doubts about its format. The top guys play the same opponents tournament after tournament, with the worry about their precious rating, and the local heroes invited by the organizers usually are not at the same level of the others, hence lacking to provide enough variety to the format, which repeats itself in all the GCT events. The money is more than good, and this is for sure a good reason for a professional to participate, and to be happy about this series of tournaments. But as for the spectacle, well, that's a different story. 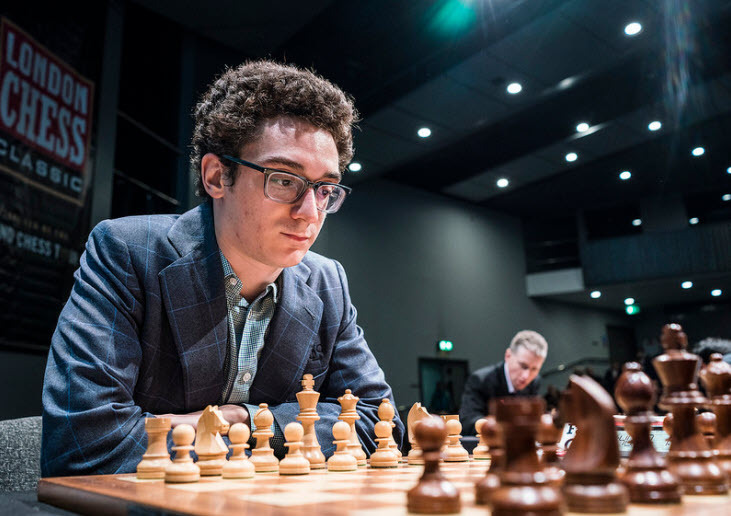 In Round four and five, USA best player Fabiano Caruana won twice, putting a solid point between himself and the chasing pack. 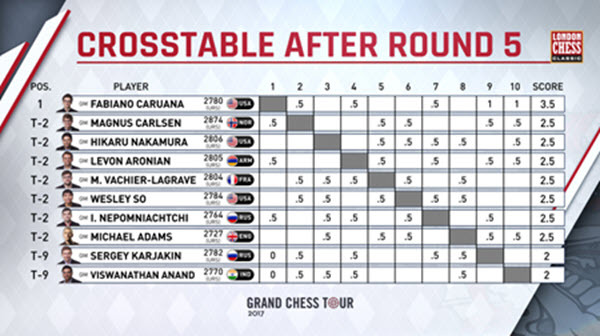 Here is the crosstable after five rounds. GM Alex Yermolinsky, in this LIVE show, recaps the London Chess Classic first five rounds, offering his point of view, with his straightforward and unique style.